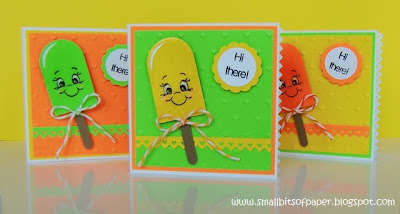 I love the cute faces on Kate's bright and happy cards! Receiving one of these cards would make anyone smile! 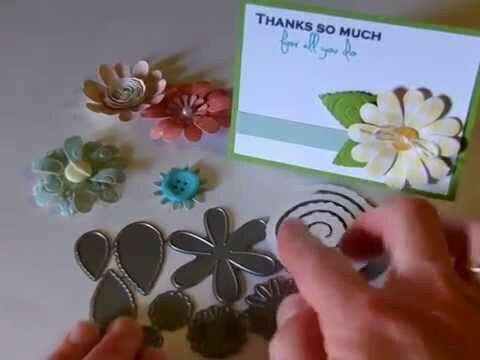 I love the embossed backgrounds! The colors on Amber's card are so pretty! I love the contrast of the soft background and the bright watermelon! The layers of 'paper lace' are beautiful, and I love how Amber stamped right on her ribbon! The layers of ribbon, twine, button and a tag are soooo pretty! I love all the glitter and shine on GiGi's fun shape card! GiGi's strawberry looks so cute with the inked embossing! 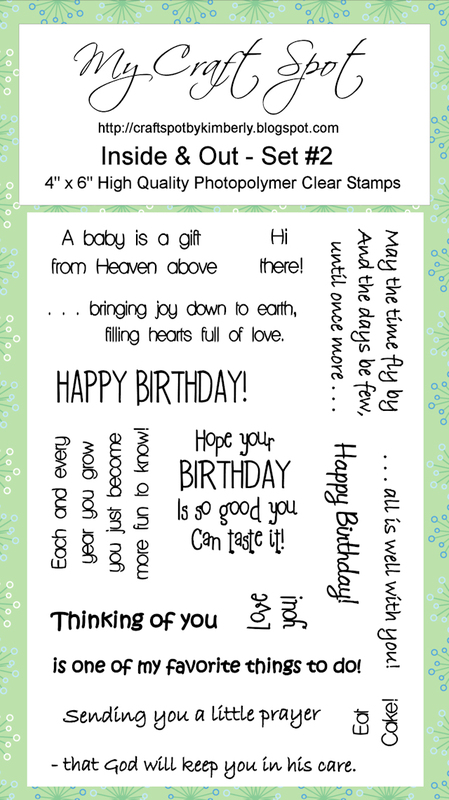 The stamped sentiment is from the Inside & Out #2 stamp set. 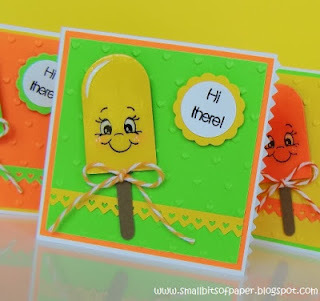 Cool treat cards and very cheerful. What a darling challenge, and aweswome DT work. Thanks for all the inspiration!